Although street parking and parking garages are available, parking spots are limited and DC traffic is no fun, especially if you don’t know where you are going. In order to alleviate stress for everyone it is best to leave the car at home or at the hotel. The best option is the metro, D.C.’s version of the subway, but you can also use the city bus, tour bus, taxi or splurge for a car service. 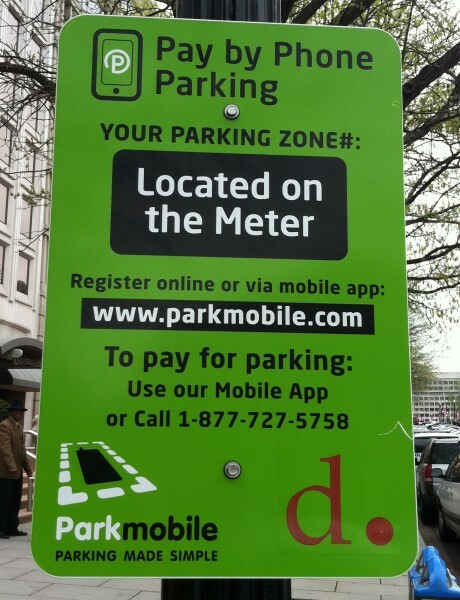 Most parking meters in D.C. are now part of the Parkmobile system. Rather than saving your quarters (or stealing them from your child’s piggybank) download the park mobile app here. There is not a city wide taxi service in D.C., but instead hundreds of individually owned companies operate in the city. Only recently have taxis started accepting credit cards and not all cabs have switched over to this new option so be sure to have cash with you just in case. Fares are determined by meter and a trip within the city shouldn’t cost you more than $20.00. There are plenty of car and limo service companies operating in the city. This is a perfect option if you want to beat the heat or cold and enjoy the luxury of door to door service without the hassle of parking. Search for D.C. Car Service and you will find several listed on the web. Uber is my newest obsession. It is a car service for the common man. For basically the same price as a cab you can have a clean towncar pick you up instead. Download the uber app here and you are ready to go. You will enter in your credit card information and when you need a car you use the app to look up where there are cars in your area, click on the car closest to you and it pick you up. The best part is you don’t have to have cash (even for a tip) because it is automatically charged to your credit card. Pure genius.